Home Audio - Call For The Best Home Theater And Audio In Fort Collins | Harmonic Series, Inc.
Do you always head out and buy the newest speakers whenever your favorite manufacturer releases a new set? Are you the first in line to grab a new receiver that promises better sound? If you are, have you noticed that the system you have put together doesn’t seem to live up to what the maker promised? This is not your fault. The problem lies with the design and build of consumer, and even high-end prosumer, audio products. These speakers and receivers can sound great…in the right room, which is probably where you heard them. If you want a system that is going to sound perfect for YOUR room and YOUR music, you need help from the professionals at Harmonic Series. We are the premier home audio installation company in Fort Collins, because we don’t believe in designing or building any system that isn’t one-of-a-kind. While we do have our favorite manufacturers, we always do what is right for the room, no matter what the brand. If you’ve loved music since you were a kid, you probably remember having one place to listen to music where it sounded better than everywhere else. Maybe you had one set of speakers or headphones that so perfectly replicated the sounds contained in a song that it felt like you were in the room with the musicians. Don’t you remember dreaming about being able to have that perfect sound, that incredible experience, everywhere inside your home? With expert home audio installation from Harmonic Series in Fort Collins, that dream is just one phone call away from becoming a reality. Whether you’re a dyed-in-the-wool jazz fanatic or the world’s biggest rock and roll fan, we can build and install a home audio system that fits your tastes. With years of experience and plenty of knowledge about the products that we sell on our side, Harmonic Series can help turn your home into a perfect listening environment that will transport you to a world of pure sonic bliss. Contact us today for more information about our services or to set up a free demonstration. Call us if you have questions about these brands or to set up your demo. When you entrust Harmonic Series to build, install, and calibrate your home audio system, you will hear results that are better than you could have imagined. We believe that in order to create the right system for you, you need to be a part of the process. There is no one-size-fits-all system that matches everyone’s tastes and needs. We begin the process by discussing what you want to use the system for. If you need a system just for music, it will be different than a home theater system, because it will change what options you have to choose from. If you need a system that is well-balanced so that it sounds great when you are listening to the radio, your favorite album, or watching a movie in your home theater, we have plenty of options. After the discussion about what the system will be used for, we can give you a free demonstration of the kinds of components (speakers, receivers, amplifiers, etc.) that we count on. We always choose high-quality components because of their superior sound. Better components means that your system will last longer, too, and more accurately reproduce the sounds on an album or a movie. Following the demonstration, we will complete an inspection of the room(s) in which you want the system installed, so we can better understand how the system will sound in any given room. Everything from the square footage to the height of the ceiling, the material the walls and floor are made from and where your furniture is located, can have a surprisingly large impact on the way that a system sounds. If the proper speakers and other audio equipment are not chosen and set up correctly, even the most expensive audio system can sound flat, dull, or even screechy. Once we have inspected the room, we get to work planning out the best system for your space and based on your needs. We will put together a quote and discuss it with you before we move forward. Your input is always a vital part of the process, so please speak up with questions or concerns. During the installation, we will arrive on time and perform our work as quickly and unobtrusively as possible. We pride ourselves on our cleanliness during installs, even with the most complex systems. Once the system is installed, we run through a rigorous testing phase to ensure that everything was hooked up properly and that the signal is not being affected by interference or less-than perfect cables or connections. 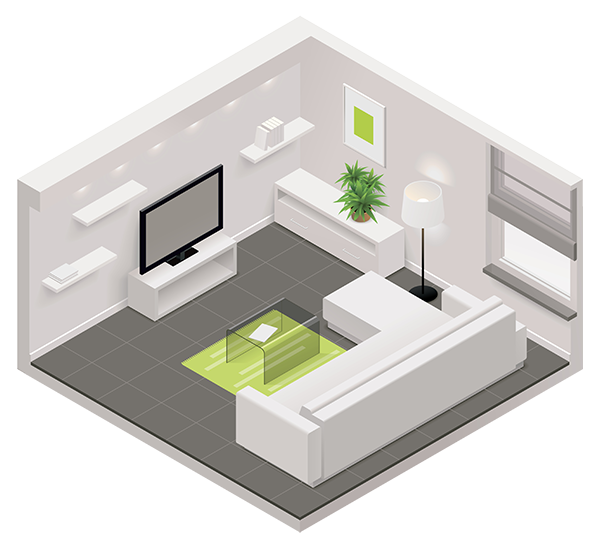 If you have existing home automation, we will make sure that everything is working well together. Following these tests, we will begin the calibration process. Based on the size, shape, and materials in a room, certain frequencies may be unnaturally cut or boosted, which can have a negative impact on the way the system sounds. We will find these problematic frequencies, as well as any rattles or other problems, and fix them before you have a chance to notice them. During this time, we will also properly calibrate your surround sound system so that you have a fully immersive experience that is as good, if not better, than your favorite local theater. As you can see, we take the process of home audio system installation seriously. We know that there are few things as gratifying as watching your favorite movie and hearing the sound more crisply than you’ve ever heard it before, or hearing a subtle nuance on one of your favorite albums. If you are ready for the best possible home audio, call Harmonic Series today. While it is tempting to head down to the big box store down the street to pick up a “home theater” system, if you are interested in having a movie, TV, or sports watching experience that is almost as good as being in the best theater or at the game, then you need a professional to design and install a home theater system using the best visual and home audio components available. Contact Harmonic Series in Fort Collins to find out how we can transform your home theater into a world-class viewing destination or read on to learn about why it is so important to trust our experienced team. In order for us to build the right home theater for you, we have to consider how all of the parts of your system will work as a whole instead of as discrete, separate pieces. Our experience means that you won’t be left juggling remotes and trying to make the different components “talk” to each other. When we are done, you will have a simple system that looks and sounds incredible and works seamlessly. We want you to be able to sit down and start watching without having to follow a long list of instructions. When you want a new home theater audio system installed in your home, it’s important that you don’t forget about the screen. We have TVs that look as good as your new system sounds, so if it has been a few years since you upgraded your TV, ask us to show you some options that we think will be an excellent fit in your room. Contact us at Harmonic Series in Fort Collins today for the best in high-end home audio installation.